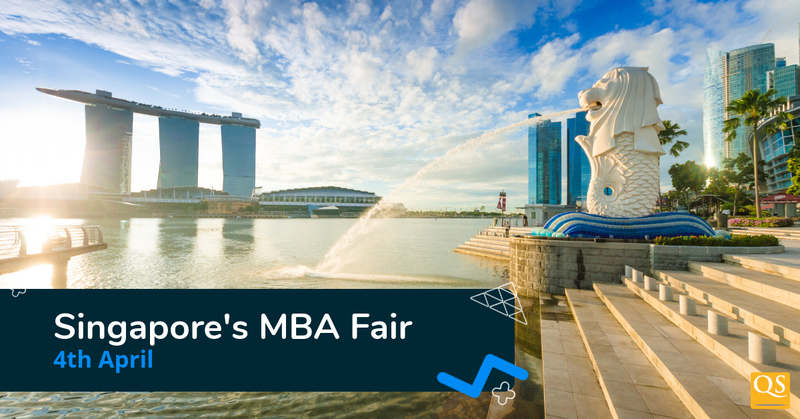 QS, publishers of the World University Rankings, is returning to Singapore on April 4th to give you the opportunity to meet top business schools from around the world. And more! This is a free event, however, spaces are limited so be sure to register in advance. 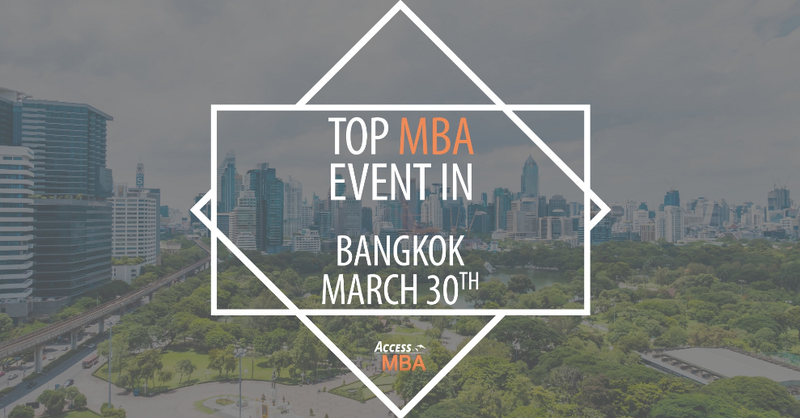 The Access MBA Tour is visiting Bangkok to guide the most ambitious business professionals to their dream MBA degree and professional fulfillment. 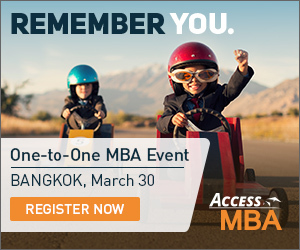 The worldwide leader in One-to-One MBA events is coming to Singapore on April 10, 2019. Now the world’s top business schools are within your reach! 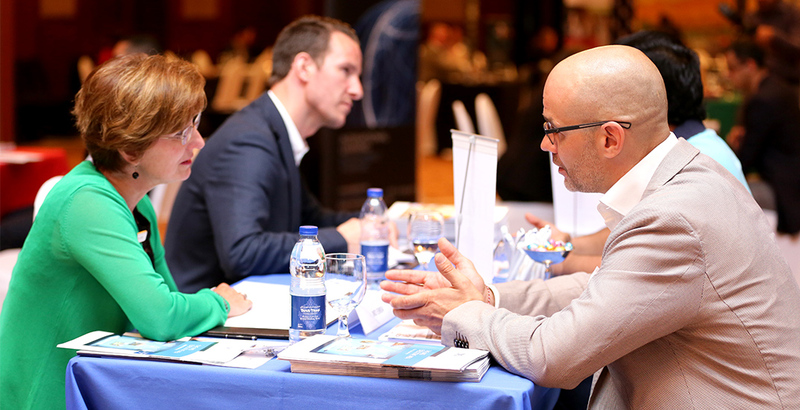 INSEAD, IESE Business School, ESSEC Asia-Pacific, Aalto EMBA Singapore, IE Business School, Strathclyde – UAE, Singapore Management University, Duke University – The Fuqua School of Business and many more and many more! Usually, practice makes perfect, but in the case of resume writing, meticulous editing and fine-tuning are what’ll lead you to the perfect resume. However, keep in mind that refining your resume requires a very unique set of lenses to be able to see its flaws and imperfections. With so many contradictory guidelines and common misconceptions about what makes a job-winning resume, it’s hard to know for sure what to change or where to even begin. 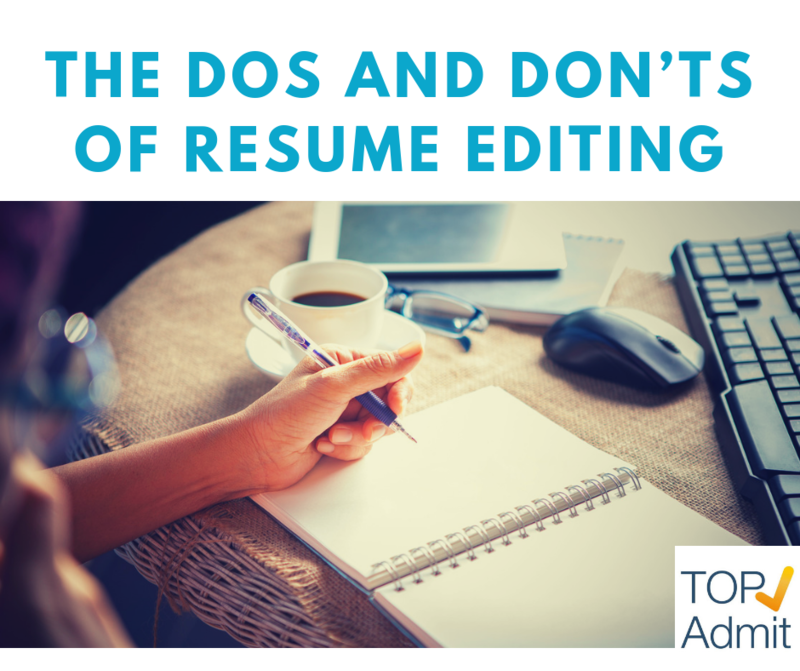 To demystify some of the ambiguities surrounding the resume editing process, here’s a hand-picked list of some of the most important dos and don’ts to be aware of during this stage. While you might have jotted down the different sections of your resume in whatever order they happened to pop into your mind,this is not always optimal. Instead, you want to move your most impressive accomplishments to the top of your resume. That way, your resume will make a great first impression as soon as the hiring manager begins reading it. No matter how good your resume looks to the human eye, it might still have trouble getting past applicant tracking systems. These resume robots are used by large organizations (and sometimes small ones too) to weed out unqualified candidates during the initial hiring process. They work by scoring your resume based on how well it matches the job description and meets the predefined requirements. Some common tactics to get past these robots include incorporating the appropriate keywords, formatting your resume properly, and utilizing standardized resume headers. You might have forgotten to include them in your initial draft, but they’re important to mention. Soft skills refer to the intangible assets that employers look in candidates, such as communication skills, problem-solving prowess, and teamwork ability. While you shouldn’t list these soft skills in your “Skills” section, the bullet points on your resume should be written in a manner that implies that you possess them. Resume editing isn’t a one and done deal. In fact, often times you’ll need more than one resume at your disposal so you can submit the most appropriate one to the job you’re applying for. This is why professional resume writers often craft multiple resumes for a single client. For example, suppose that you’ve had working experience in both finance and accounting, but you’re currently applying for a job that is strictly finance. You’ll definitely make a stronger impression and appear to be a better fit by emphasizing your finance-related accomplishments while downplaying your accounting experience on the resume you submit. With your initial draft, your resume is usually never exactly one page in length. While you might read from other online sources that this is all fine and dandy, I always suggest that job seekers make the extra effort to get their resume to fit on one full page unless they have over 15 years of work experience. After all, why take the unnecessary risk of irritating a hiring manager who’s fussy about resume length. Admittedly, sometimes it’s hard to get it just right. Maybe you’re having trouble filling the page up because you have little to no work experience. If you haven’t already, consider adding in the names of the most impressive courses you’ve taken in school, or perhaps include a summary or objective statement at the top. While it’s great to have the mindset of leaving no stone unturned, everyone already assumes you have experience with Microsoft Word and Outlook. There’s also no point in mentioning that you know English if it’s obvious that you’ve worked in an English-speaking country your entire life. Instead, save your precious resume real estate for more technical skills that are far more impressive. If you do know a second language though, be sure to mention it, as it’s currently a very sought-after talent that companies love. Unless you’re in an industry like fashion or graphic design that openly encourages resumes with unique and aesthetically pleasing layouts, it’s almost always better to stick with a basic resume template. This is true for a number of reasons. For one, hiring managers are used to seeing standard resume formats. They don’t want to spend extra time getting accustomed to your unique layout. To be quite frank, some hiring managers won’t even bother reading resumes that aren’t formatted according to industry standards. They assume the resume is all style and no substance. On top of that, let’s not forget that resumes need to appease the resume robots. As you might expect, robots are heartless and they don’t care for pretty colors or aesthetics. In fact, they might have trouble processing your resume, and this could severely hurt your chances of moving past the first stage of the hiring process. I see this all the time. The resume begins every one of its bullet points with a verb, but then suddenly, out of nowhere, one lone bullet point decides it’s perfectly fine to start itself off with a noun. While it may seem like no big deal, some recruiters can get really ticked off by this inconsistency and conclude that you’re not a detail-oriented job candidate. Just remember to keep things consistent – it’s not hard if you look out for it! It’s great that you took the time to edit and refine your resume. Now let your friends and family members help as well. If even professional writers and authors have editors to proofread and make changes to their works, then you should too. It’s easy at times to think that what you wrote makes perfect sense, because after all, you wrote it! But unfortunately, we’re all prone to making some mistakes or suboptimal writing decisions that we simply can’t catch and fix ourselves. So never skip this final step – it might just be the most important one! The last few years have seen the evolution of the resume. So much so that job seekers now hire professional resume writers to write or edit their documents. A resume is no longer a list that collates your professional experience and responsibilities. It has been reinvented as a smartly crafted marketing pitch, created with the singular aim of selling you as a candidate to prospective employers. 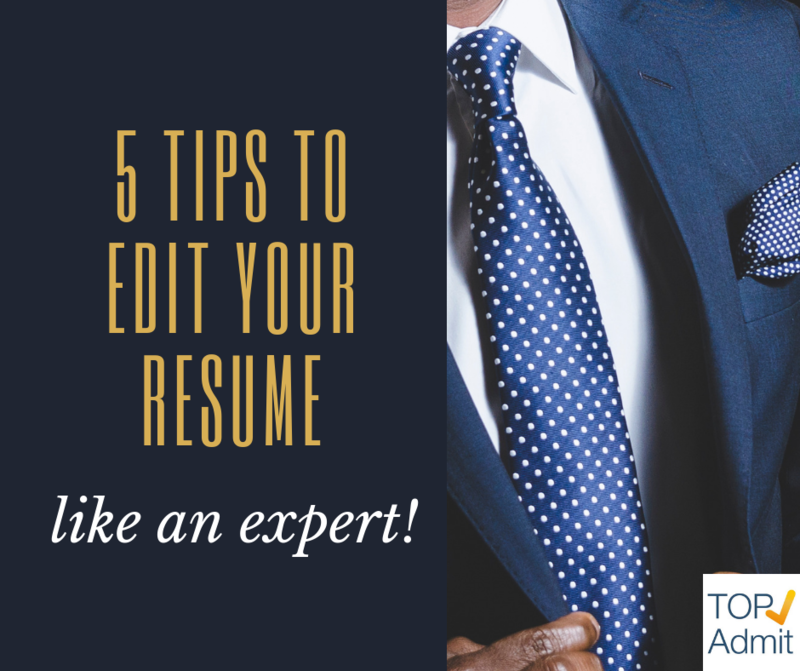 How does a professionally edited resume differ from its unedited counterpart? An editor approaches the document from the point of view of an outsider — usually an employer. This way, he knows instinctively which parts to embellish and which to leave out. With the deadwood out of the way, your resume appears more polished and focused. Employers are mainly interested in one thing — the value you can bring to a company. Your resume must address this question in detail. Don’t emphasize only your roles and responsibilities; focus on your accomplishments instead. You want to tell the company what you can do for them by citing examples of what you have achieved for your employers in the past. Gone are the days when a resume was a laundry list of your career and responsibilities. Resumes these days are aggressive sales pitches intended to grab the reader’s attention and convince him or her that you are the best fit for the job. Think like a marketing person and adopt creative strategies to make your career look good. Your resume is like a display in a shop window. Showcase only the best. Change the slant or perspective of what you want to say to make it more appealing and word each entry carefully to elicit the best response. Be careful not to stray from facts at any point. Keep chipping away at all the extra details until you get a focused document that’s relevant to the job and company you are applying to. Hiring managers spend only a few seconds on each resume so supplying extra information may sometimes lead to employers reading only those bits and missing out the more relevant parts. Using action verbs such as administered, analyzed, delegated, controlled, addressed and exceeded add dynamism to your resume and tend to catch the reader’s eye. Use action verbs liberally – and appropriately – to make your resume compelling. This is the easiest part to address and the most important. There can’t be bigger eyesores than spelling, grammar and punctuation errors in a resume. Be absolutely sure there are no language errors and keep the style consistent. If you write 25 December in one sentence and December 25 in another, you may be marked as either lazy or careless. In today’s competitive job market, garnering the attention of hiring managers is a must. That’s where the resume comes in. A well-crafted document that provides relevant information to employers puts you one step closer to the job you seek. Edit your resume like a pro. Begin by looking at your resume with a fresh unbiased eye – preferably that of your prospective employer – and work out a sales pitch that sells you. Cull unnecessary information to put forth a focused document – one that makes you appear to be the perfect fit for the job. If you’ve lost patience with your current boss or you’ve lost interest in your current job (for any reason), you may be thinking about stepping back onto the job market. In this case, leaving your current employer will be your own decision, and you’ll be able to make the transition on your own timeline. But not every exit from the workplace happens in such an organized and predictable way. More often, the transition from employment to job search comes as a surprise, and the faster you can find and revise your existing resume file, the faster you can get your job search underway and get back on your feet. How often do you need to update your resume? Always update your resume when you start a new job (to keep it current). Even if you’ve been in the same job for several years, updating your resume annually is a good idea. Your responsibilities may have changed, or you may have taken a class or gotten a certification. Your resume should reflect these changes. 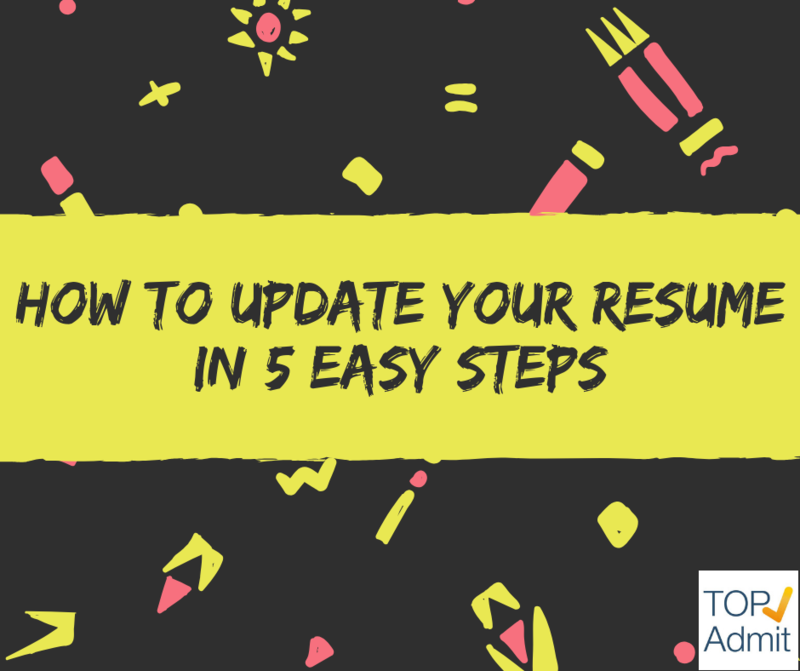 Instead of rewriting your resume from the ground up, follow these five simple steps and update the file you already have (full details below). Give your resume a style makeover. You can reuse some of the text you’ve already written, but now is a great time to develop a new layout and a new template. Explore the style and presentation options on LiveCareer and choose a font, color palette, and visual theme that fits with your personal brand. Remember that simple style elements are usually more effective than complicated ones, and your colors and font styles should be limited to two or three. Watch out for fancy elements that might confuse resume scanners, and don’t include images or photos. No matter what you were looking for during your last job search, you’re probably not in an identical state of mind this time around. People change and grow as time goes by, and career ambitions shift and evolve. Make sure your recent growth is reflected in your new resume summary. If you were looking for a mid-level position the last time you struck off in search of work, now may be the time to start reaching for senior roles and pitching your readiness to lead and manage others. As always, state your ambitions and expectations briefly and clearly, and focus on what you have to offer, not just what you want. People change and grow as time goes by, and career ambitions shift and evolve. Make sure your recent growth is reflected in your new resume summary. 3) Training courses and certifications that don’t apply to your current job or industry. Since you now have more experience than you did when you drafted this earlier version, you’ll need to tighten the summary of your entire career timeline. Add your most position title, your employer’s name, and a bulleted list of your most important accomplishments in this role. Then move down your list of past positions and remove at least one former job that holds minimal relevance to your current goals. Have you increased your proficiency levels with specific software applications? Have you moved from basic competency to “expert levels”? Have you added new skills to your repertoire that you couldn’t claim in the past? Make sure each of these are represented before you re-launch your search. Essay editing is a common thing when you are involved in the academic life and are overwhelmed with papers on different subjects including literature classes, language classes, psychology classes etc. A lot of websites are full of tips to help you achieve your goal. Every time you are faced with the task to edit your essay remember to have narrative essay checklist. It will help you to avoid common mistakes and not to forget essential points. Editing is basically a process of preparing any written, audible, visual content for the readers by remaking it, deleting some parts, etc. The modifications involved in editing may be the following ones: correction, structuring, condensation and many others. The result is a completed, comprehensible, accurate text for perception. Editing process is a two-tier one. It is a cooperation between the author and editor. Important things for an online paper editor are general style of articles and its main purpose – what author wants to evoke into the reader’s mind and imagination. You may do your edit from different perspectives. You can correct grammar, stylistic, spelling mistakes as well as make the structure more coherent and language more vivid and understandable. Topic sentences and main argument always need revision because they are the foremost hooks for the audience. Skim through the essay in a swift manner and identify some conspicuous mistakes that a common reader may notice. Reiteration, grammar, spelling, and syntactic mistakes are not hard to detect. The second step would be searching for stylistic mistakes. General style depends on its type. The literary paper may have a more elevated style that includes sophisticated language and rigorous structure pattern. The paper on a free topic sometimes tends to be less restricted which means you are free to add some colloquial phrases but not a lot. Persuasive essay would encompass a wide range of persuasive devices like rhetorical tropes and figures of speech, rhetoric questions, addresses to the audience, at times statistical data and the scientific outcomes in order to persuade the reader to your point of view. Take breaks between revision sections. You need to evaluate your work from the distance in order not to be too prejudiced. Next, take care of the structure. It usually encompasses three core parts. Transition between paragraphs should be smooth and coherent – reader should easily follow the thought. To make everything clear, use cohesive devices like substitution, ellipsis, omission, introductory phrases etc. Proofread, again and again, to make a paper a perfect piece of writing. If you still need essay help, give your paper to somebody else to have a cursory glance. It happens quite often when after a thorough work somebody else detect several minor errors but still errors! The main mistake is when you add your own style and point of view to the essay that is not yours! Skipping grammar and spelling mistakes while trying to make the style perfect. Being too meticulous and deleting the whole paragraphs or sentences that are important to an understanding of the main idea! In addition, find some practice worksheets to practice! Good luck with you papers and do not forget to have your own checklist that will help you to create a fully-fledged paper! It can be a challenge to find ways to keep improving, but one way of making your essays instantly better is effective editing. Editing your essay before you submit it could mean the difference between a good grade and a brilliant one, so it’s worth taking fifteen minutes or so before you send it off just checking through it to make sure that the structure and wording is as good as it can be. In this article, we give you some tips to think about when you’re editing your own writing. Keep these tips alongside you to use as a checklist and you can’t go far wrong! Unlike a house, an essay can be rearranged even after you’ve put it together. If you have time, try to leave a bit of time between finishing your essay and starting the editing process. This gives you time to approach it feeling reasonably fresh; if you edit immediately after spending a long time on something, you might find that you’re so close to it that you’re unable to spot errors. When you do sit down to look through it, start by looking at its structure. Think about the overarching shape of the argument you’re developing and check that the points you’ve made help build your essay towards a logical conclusion. You may have written an essay with the points in order of when they occurred to you, but is this really the most sensible order? Does one point follow logically on from the other? Would it make the essay more interesting to include a certain point near the beginning to tease the reader, or are you revealing too much in the opening, meaning it would be better to move some points nearer the end? These are just a few of the ways in which it might be possible to improve the structure, so it helps to keep in mind your overall argument and ensure your structure puts it across as effectively as possible. With word processors now the primary means of writing essays, it couldn’t be easier to rearrange paragraphs into a more logical structure by dragging and dropping or cutting and pasting paragraphs. If you do this, don’t forget to reread the essay to ensure that the wording works with this new order, otherwise you may end up with a sentence leading into the wrong paragraph. The perfect essay is like a bonsai tree – trimmed down to just the right size. Whether you’ve exceeded your word count or not, long sentences and paragraphs should be edited because they can be trickier to read, and risk being boring or hard to follow. Try, therefore, to keep sentences to a maximum of two or three clauses (or segments). Avoid long paragraphs by starting a new one if you find one getting longer than three or four sentences: a wall of text can be off-putting to the reader. Leave a space between paragraphs if you’re typing your essay, as we’re doing in this article. Another way of keeping sentences to a reasonable length is to go through what you’ve written and tighten up the wording. If you find yourself writing long sentences, try to look for ways in which you can reword them to express what you’re trying to say more concisely. You’ll probably find numerous instances of phrases that take many words to say what could be said in two or three. It’s going to look obvious if you’ve had a thesaurus next to you while writing, just so that you can replace all the simple words with more complicated ones. The thing is, it doesn’t always make you look intelligent; you may, for instance, inadvertently choose the wrong synonym, not realising that even close synonyms can have subtly different meanings or connotations. Sometimes using big words where simple ones would suffice can seem contrived and pompous; aim for clear, concise language to avoid being verbose or pretentious. That’s not to say you shouldn’t use more complex words at all – just choose the situation carefully and don’t overdo it. It’s easy to repeat yourself without realising it when you’re writing, but the editing process is there to enable you to spot this before your teacher or lecturer sees it. As you read through your essay, keep a look out for ideas you’ve repeated and delete whichever repetitions add nothing to your essay (don’t forget that the first instance of the idea may not be the most appropriate place for it, so consider which is the best moment to introduce it and delete the other mentions). On a related note, look out for instances in which you’ve laboured the point. Going on about a particular point for too long can actually undermine the strength of your argument, because it makes you look as though you’re desperately grappling to find supporting facts; sometimes a simple, clear statement with a brief piece of evidence to back it up is all that’s needed. You should be equally wary of repetition of words within the same sentence or paragraph. It’s fine to repeat common words such as “the”, obviously, but it’s best to avoid using the same connecting words, such as “also”, more than once in the same paragraph. Rephrase using alternative expressions, such as “what’s more”. More unusual words should be used just once per paragraph – words such as “unavoidable”, for example – unless it’s for emphasis. It’s a tip we’ve told you before, but it’s worth repeating because it’s very important! The spellcheck will not pick up every single error in your essay. It may highlight some typos and misspellings, but it won’t tell you if you’ve inadvertently used the wrong word altogether. For example, you may have meant to write the word “from”, but accidentally mistyped it as “form” – which is still a word, so the spellchecker won’t register it. But it’s not the word you meant to write. Printing something out in order to edit it can help you spot mistakes. It’s said that if you read through your work backwards, you’re more likely to spot typos. This is probably because it’s giving you a new perspective on what you’ve written, making it easier to spot glaring errors than if you read through it in the order in which you wrote it and in which you know what to expect. So, start with the last sentence and keep going in reverse order until you get to the beginning of your essay. 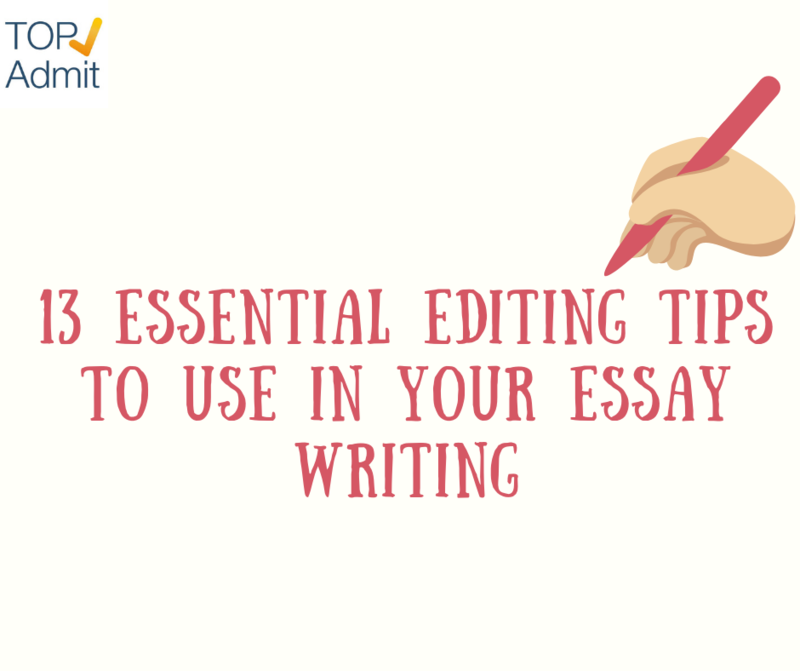 Another tip is to print out your essay and take a red pen to it, circling or underlining all the errors and then correcting them on the computer later. It’s often easier to read a document from a printed version, and it also means that you can follow what you’re doing by touching each word with the end of your pencil to make sure you’re not skimming over any errors. Without even realising it, you’ve probably used plenty of unnecessary words in your writing – words that add to the word count without adding to the meaning – and you’ll find that your writing works just as well without them. An example is the word “very”, which almost always adds nothing to what you’re trying to say. As Mark Twain said, “Substitute ‘damn’ every time you’re inclined to write ‘very’; your editor will delete it and the writing will be just as it should be”. Weasel words are worse, as they are used to hide weak or objectionable arguments. A study of Wikipedia found that these tend to fall into three different categories: numerical vagueness (such as “many people say” without specifying who these people are), the use of the passive voice to distance the writer from what they’re saying (“it is often said”, for example, without saying by whom it is often said), and the use of adverbs designed to soften a point (such as “probably”). Look out for these in your own writing and rephrase to remove them; they are disingenuous and your essay will be stronger without them. Also, ‘big’ is quite an unimpressive adjective. A tautology is a stylistic error involving redundant words, in this case the use of two consecutive words that mean the same thing, such as “the big giant” (referring simply to a “giant” would have been sufficient to convey the meaning). Students often use them when they’re trying to make their writing wordier, not realising that they simply make their writing worse. People tend either to put too many commas into a sentence, or too few. Too many, and the sentence sounds broken and odd; too few, and the reader has to read the sentence several times to figure out what you’re trying to say, because it comes out in a long, jumbled mess. The secret is to put commas in where you would naturally pause when speaking aloud. If it helps, try reading your writing aloud to see if it flows. Where you would pause for slightly longer, a semi-colon might be more appropriate than a comma. Use a semi-colon to connect two independent clauses that would work as two separate sentences. Some words have more than one correct spelling, and the important thing is to be consistent with which one you use. You could, if you wanted to make your life a little easier, delve into the settings on your word processor and manipulate the spellcheck so that it highlights the version you decided against – or even autocorrects to the right version. If you’re writing in the UK, ensure that your word processor’s default language is set to UK English so that you don’t end up inadvertently correcting English spellings to US ones (“colour” to “color”, for example). If you use lots of exclamation marks, be aware that this is how your readers will picture you. In virtually every case, you don’t need to use an exclamation mark, and – at least in academic writing – your use of one may result in your writing not being taken quite so seriously. Only use them in exceptional circumstances when you really want to convey a feeling of surprise or outrage. Ellipses (“…”) should also be avoided except when you’re indicating the truncation of a quote from another writer (that is, where you left a bit out). Quotations from authors or academic writers should be attributed to them. As you read through your essay, keep a look out for any quotations you’ve mentioned and make sure that you say where they’re from. If you’re writing an essay for university, a footnote would be an appropriate way of citing another writer. If you are using footnotes, this gives an extra area on which to focus your editing skills; ensure that all footnotes are consistently formatted, and don’t forget to put a bibliography containing all the books you’ve used at the end. There’s no reason to have bad formatting when you’re using a computer. 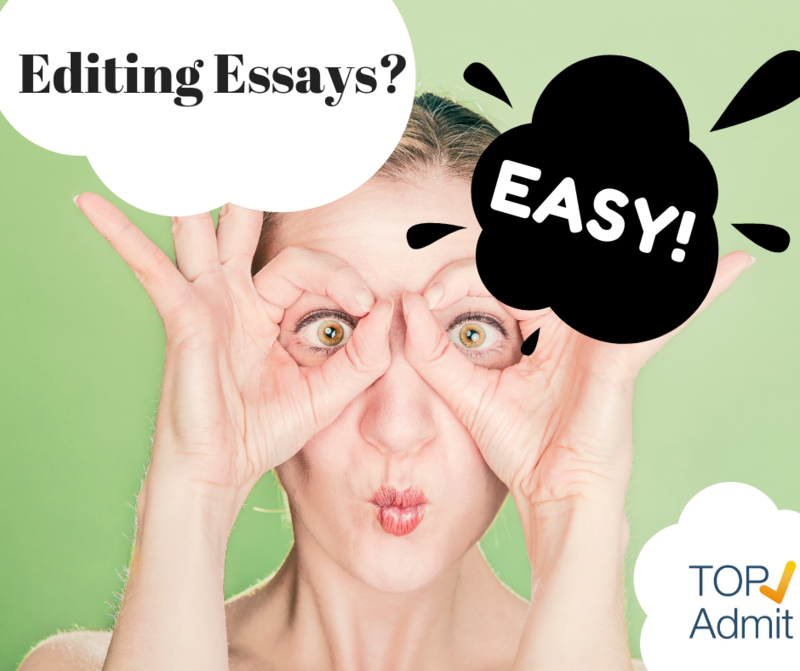 The appearance of your essay matters, too – and the formatting should not be neglected when you’re in editing mode. This means being consistent with your use of fonts, using italics or underline for emphasis rather than using them interchangeably, ensuring that the spacing between lines is consistent throughout, and other such minor aesthetic points. This may not sound very important, but consistent formatting helps your essay look professional; if you’ve used different fonts or line spacing or anything like that, your essay will look a mess even if what you’ve said in it is good. You could make use of the pre-populated formatting options in your word processor to ensure consistency throughout, with header 1 for the title, header 2 for subheadings and ‘normal text’ for the body of the document. If you find that there are too many things on this list to think about in one go when you’re reading through your essay, you could read through it several times looking out for different things each time. All this may seem a lot to think about when you’ve already put in so much effort to write the essay in the first place, but trust us: it will pay off with a sleek and polished piece. We encourage you to stay away from clichés and to find original content. In other words, we want to get to know the real ‘you’, so be honest and reflect deeply on what unique experience you can bring to the programme. It may help you to think about what you would say to a friend or a sibling over coffee in response to each of the questions. INSEAD selects a variety of profiles to complete the class; from people who have taken the more traditional business routes in their careers to others with medical, humanities or military backgrounds. This means that there is no standard template and no perfect mold to which you need to fit. So try to avoid writing what you think the admissions committee would like to hear and follow your own instincts; for instance, you can mix in elements from your personal life that can shed light on your passions, pursuits or accomplishments. The best essays we have read always strike a balance between personal and professional details. You can try to think about stories and anecdotes from your childhood, high school or undergraduate studies. Of course, you should make sure that the stories from personal and professional situations convey something about you and relate to the questions. And one more thing, please bear in mind that original doesn’t mean intimate or inappropriate. These things also speak about you, even if they seem like small details. We understand that you are juggling your application amidst many other responsibilities and this can be challenging at times. However, it is important to stay focused, to plan appropriately and to take sufficient time to write, review and edit your essays in order to ensure that the image you are projecting is not skewed by inaccuracies, unclear sentences or technical jargon and acronyms. Respecting the word limit and answering the question are also very important points. For those of you who are not keen writers, keeping a diary where you capture all the fleeting thoughts you have during the day can prove to be very helpful. Writing in bullet points rather than full sentences at first may also help to get started. Eventually, you will have enough material to start writing a first draft of each essay. 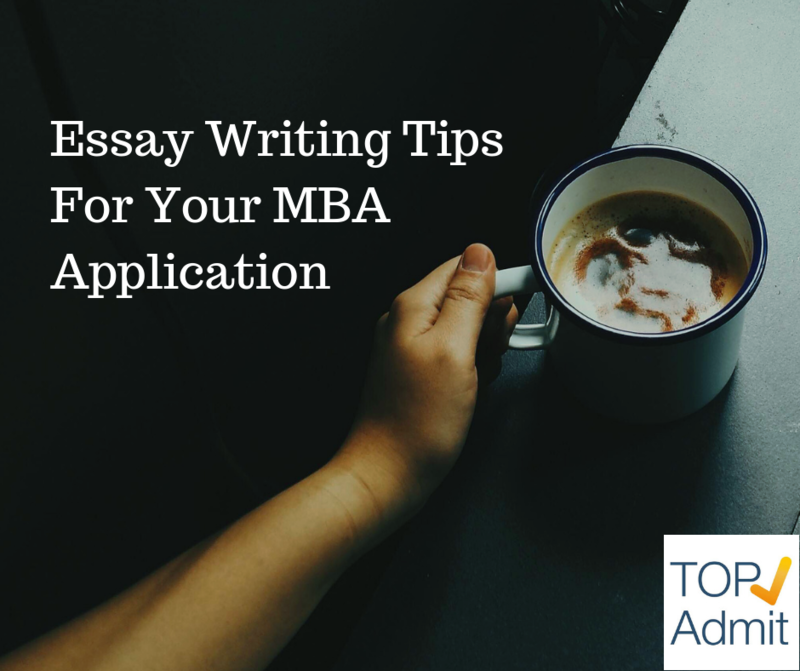 It can take up to 8 – 10 weeks to prepare for the essay component of the application and it is common to have to re-write them several times until you are happy with the result. We need to be able to understand your professional responsibilities and experience as this is one of the most important assets you will be bringing into the classroom. To say, for example: “I manage IT projects”, is not enough; instead, you need to try to describe the nature of your work using concrete and specific examples. It is important also to provide a description of your organization, the structure, market and product, especially if you work for a family business or a small to medium-sized enterprise. When you talk about your experience, it’s normal to underline your strengths but make sure to focus on your areas of improvement as well. Finally, if you have been unemployed for a period of time or there’s a gap in your job history, it is advisable to give an honest explanation instead of avoiding it. It is tempting to think that you can win the heart of the admissions committee by adding an optional essay. You may be burning to expand upon the cross-cultural insights you learned from your trek to Peru. 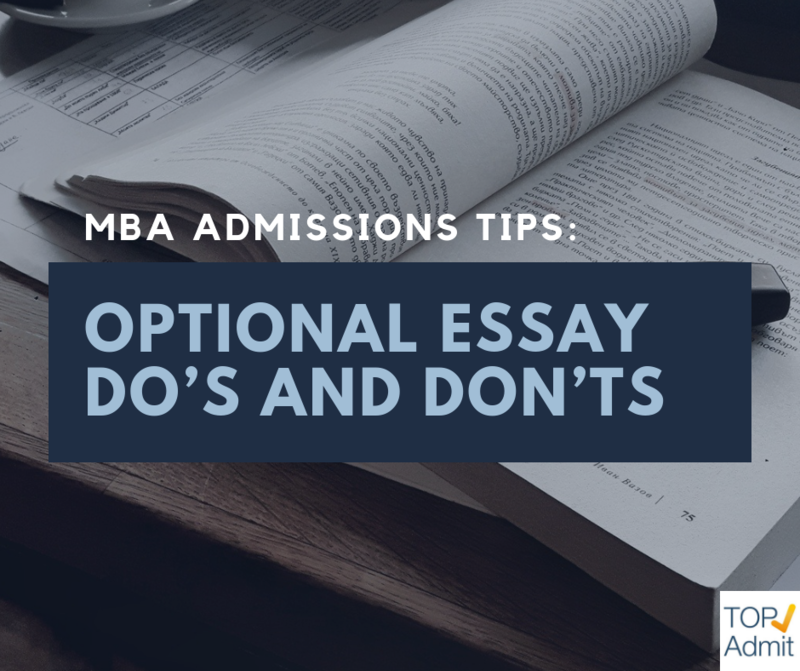 But, before you power up your PC, think about the point of the optional essay. Quite simply, it exists only to address the questions that an admissions committee member might have after they review the required materials. These questions usually center on your academic readiness, your career potential, or your choice of recommenders. Is there some reason why you had all those “D’s” and “F’s” junior year? What were you doing during the six-month gap on your resume? Was there an illness or personal situation that led you to withdraw from school for a semester? Why isn’t your direct supervisor writing a recommendation? If you do not have this kind of situation, there is no reason to include an optional essay. 1. The best defense is a good offense. Address any significant gaps in work history or anything that you think could be confusing or unclear to the admissions committee. If you were laid off from your job and it took you six months to find a new one, just state that and briefly mention how you have grown from the experience. If you were relocating as a trailing spouse or had Visa issues that played a role in employment gaps, explain. Stick with facts and not opinions when addressing sensitive topics. 2. Offer context for a low GPA. There is a difference between providing context and making excuses. Simply state that you were not mature enough to focus on academics early in college and offer an example of how you are now ready for rigorous academic work. Consider taking a quant class for academic credit and receiving an A. If you do not score well on standardized testing, provide other evidence of your quantitative readiness for an MBA program. 3. Address recommender choice. Perhaps you have only worked for your current supervisor for a few months. Alternatively, if you let your manager know that you are applying to business school you will risk not getting the promotion you are up for in a few months. Admissions committees understand. Simply explain why then share what qualifies the individuals you selected to write recommendations. 4. Show that you have grown. Self-awareness and the ability to learn from your mistakes are both valued by admissions committee members. If you do have any past disciplinary actions (academic suspension or arrest), simply state how you learned from your past mistake and make it clear that it will not happen again. 1. Offer any excuses or blame. This is not the place to throw shade. Just provide an explanation to help the admissions team understand the situation. 2. Write a novel. In fact, you don’t even have to write an essay. If you can clarify and provide the necessary context in just a few sentences, do that. 3. Ramble on to other areas. You shouldn’t try to sneak in a few more points that you wanted to address in the regular essays but ran out of space. If you do this, you run the risk of harming your overall application. 4. Address problems that don’t exist. While you might feel bad about the C you got in microeconomics, if your overall GPA is strong there really is no need to call attention to one or two C’s on your transcript.